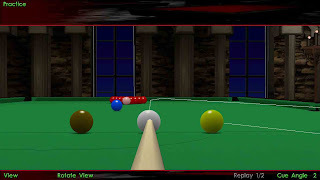 These are some tricky break-offs, the first break involves hitting the OB thin (thinner than a quarter ball), and controlling it with right or left hand english, among other things such as placing it at different points on the baulk line. All the basic rules apply. 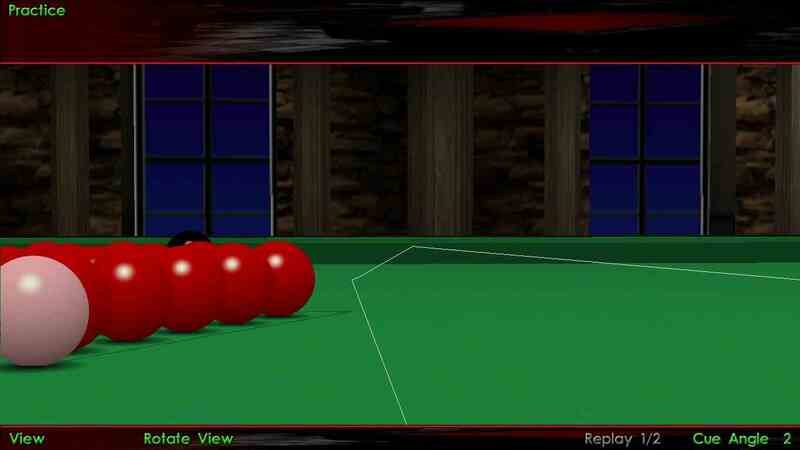 Just keep in mind that as the contact point on the OB is quite thin, you will have to hit it softer than normal. 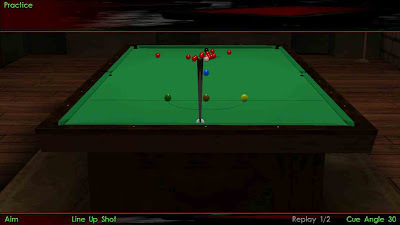 The second break is a little too ambitious for my taste, and I might try it regularly only once I have mastered the other break-offs. 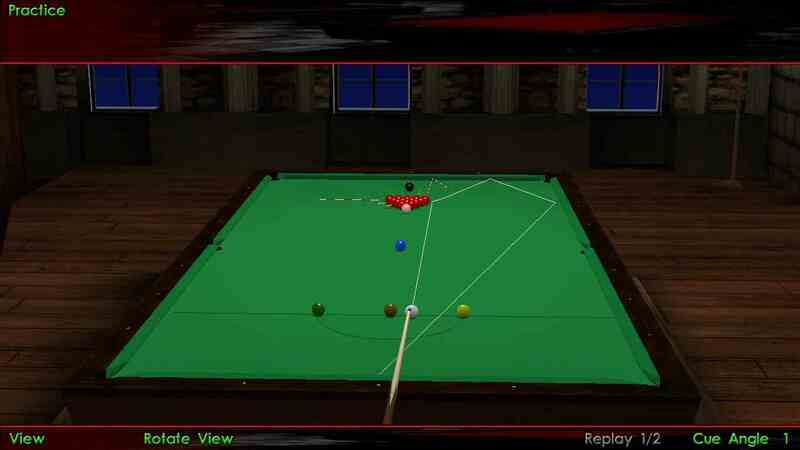 In fact, I don’t think many players try this in tournament play. In this kind of a break, basically you hit the CB with reverse sidespin. 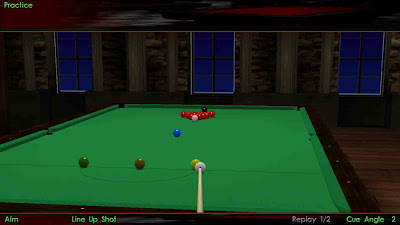 You will have to hit it a little harder than normal so and that the effect of reverse english is nullified and the CB reaches the bottom cushion more easily. Contact point on Object Ball (OB) : Less than 1/4th on the first red (to come behind the yellow) on the first ball on the side of the pack. 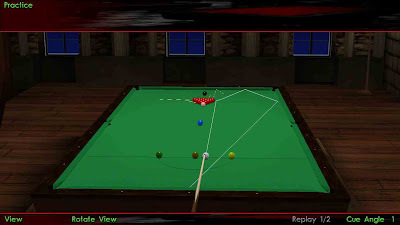 Initial Cue-Ball (CB) position : between brown and yellow or brown and green. Try moving it towards yellow or green if you want to go more towards the side cushions after the first contact on the top cushion. 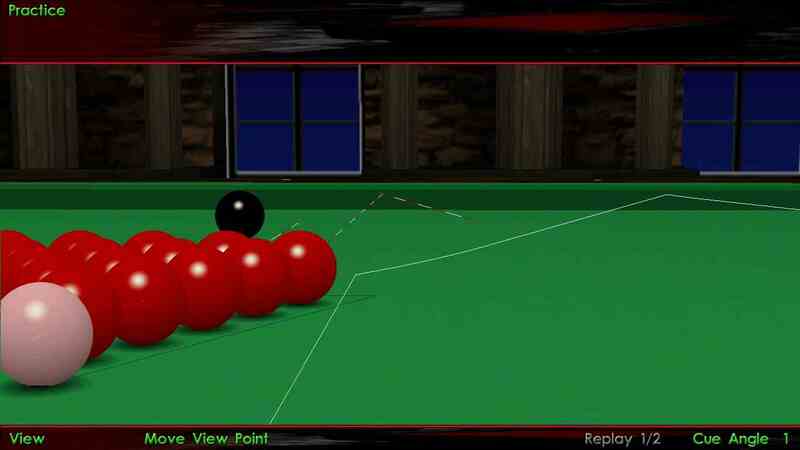 closer to the yellow to avoid hitting the first red too thin. You can come behind the brown as well, hit the OB just a little bit thicker. You will notice that this is quite a difficult break to master. Since this break off is played a little slow, therefore, not many reds will scatter. Now that means automatic safeties, so you might as well start with this break. 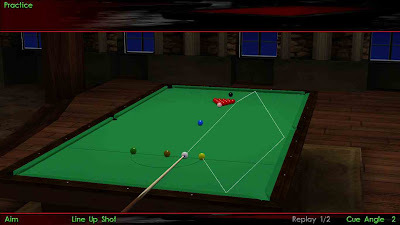 Play it thin on the object ball, to come behind the yellow, either on the bottom cushion, or directly behind the yellow, leaving your opponent with a snooker. A little running english might help if you don’t like to play it at speed. Play it just a tiny bit thicker and the CB should hopefully end up behind brown. play a little more thicker and try to go behind green as well, though according to me that’s the riskiest shot out of the three and should be avoided. bit of right hand side, just a little bit. Break – off 1 executed, notice how only a few reds scatter, so even if you miss the snooker, it’s still safe. Instead of hitting it thicker, you can put a little bit of right hand english. The CB will travel more than normal though, so keep that in mind at all costs. I would advise you not to put left hand english if you are a beginner, as that will cause the CB to stop a little in its path, and make this break even more difficult. 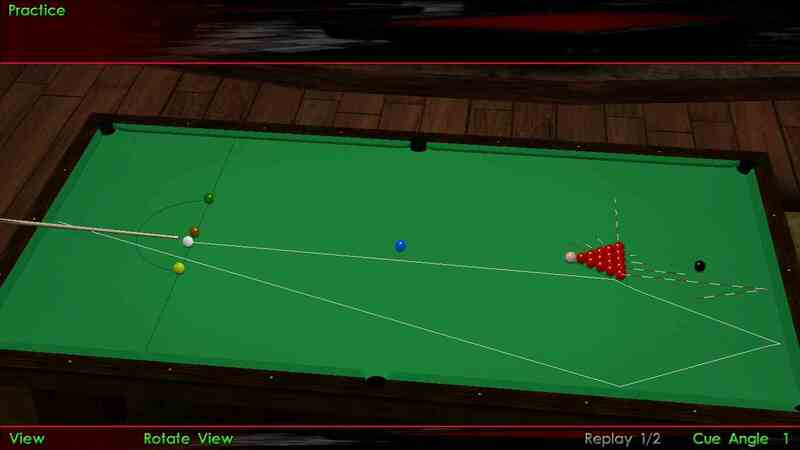 Check out break-off 4 though, if you want to see the magic of reverse side-spin. Initial CB position : between yellow and brown or green and brown, more towards brown in both. 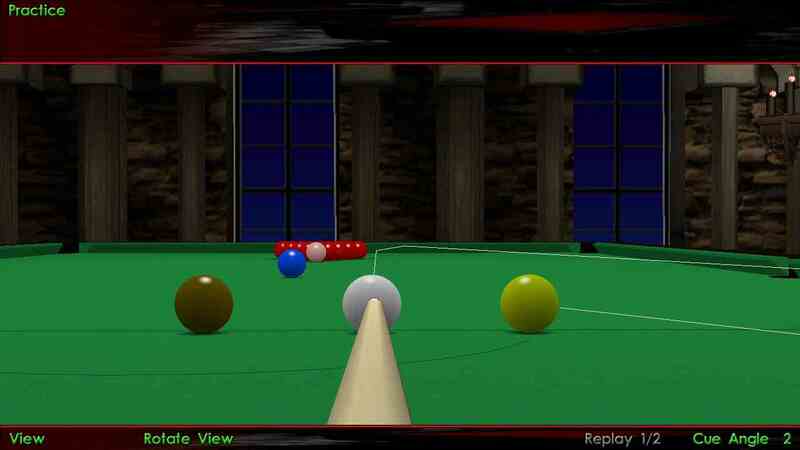 Move it towards yellow or green to decrease the amount of side-spin you put in the shot. 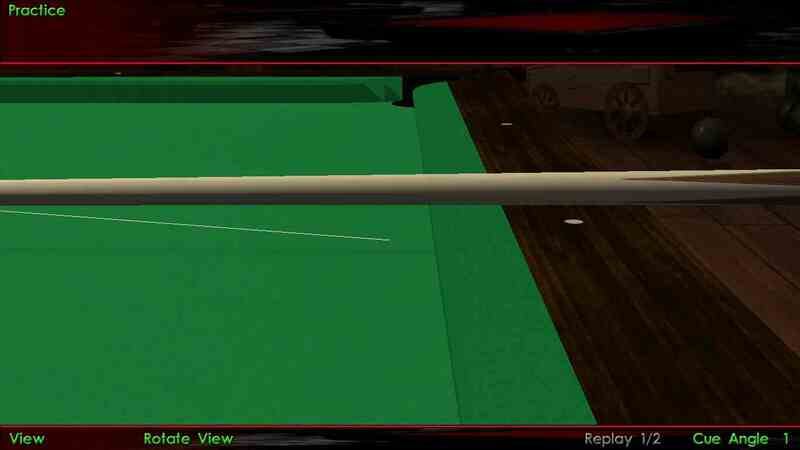 In this case the cue ball ideally ends on the bottom baulk cushion, just behind the brown, leaving your opponent no easy shot on the next red if any is visible. 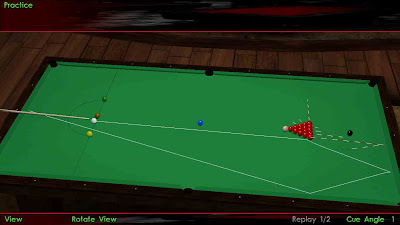 Usually one red which ends at the left side cushion is pottable, but leave the white sticking at the bottom cushion and that will turn out to be a great break – off. 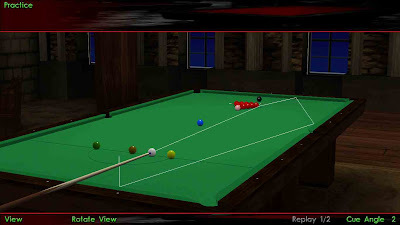 A little variation would be to go in between the brown and green and at the bottom cushion between the green and the reds, but this again leaves one red for your opponent to play. 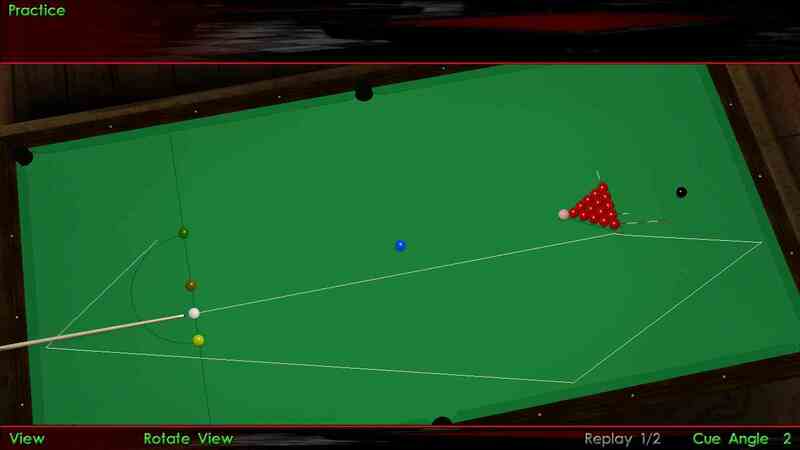 I will try to discuss a few ambitious break-offs and even try to analyze a half – century break, in a few days, and post detailed analysis of shots such as screw back, follow, half ball hit, quarter ball hit and so on.